The office, founded in 1994 by Helmut Dietrich and Much Untertrifaller, is one of the iconic agencies of the renowned “School of Vorarlberg”. 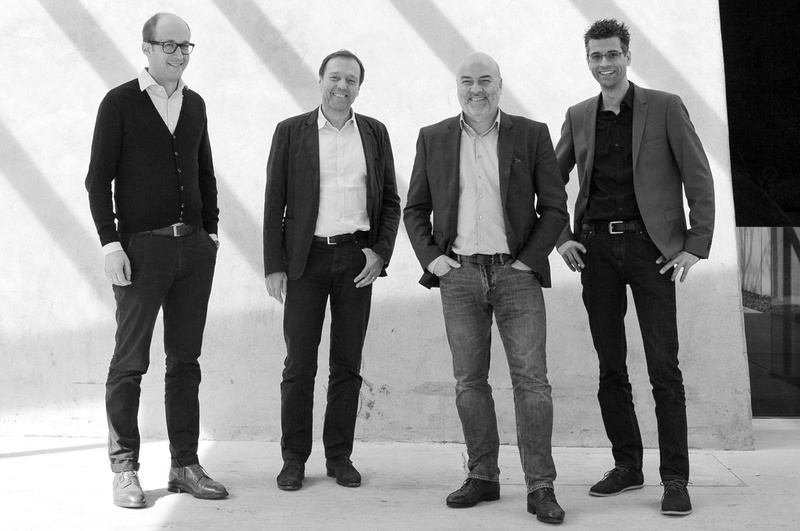 It is led by Helmut Dietrich, Much Untertrifaller, Dominik Philipp and Patrick Stremler and employs an international team of 90 architects working in Austria (Bregenz and Vienna), Switzerland (St Gallen), France (Paris) and Germany (Munich). Carefully and at the same time confidently developed from its respective context, their architecture is restrained in style with spatial sophistication and demonstrating a finely nuanced materiality. Their buildings are known for their humanistic approach, innovative and sustainable achievements, and their sympathetic relationship to urban context. A decisive factor in all their work is the resource-saving and appropriate use of materials and structures, with a particular interest in and commitment to contemporary timber construction. The office is well known for their expertise in timber design and construction and maintaining this knowhow through relationships of dialogue and trust with clients, craftsmen and engineers. The Unterdorf elementary school in Höchst is a radical, uncompromising example of a modern cluster school. In a plain, elongated, ground-level wooden building, four identical clusters are placed on the east side. The special education classes and the admin area are located on the west side, connected with the gym by a spacious hall. The clusters comprise two classrooms, an open group area and a relaxation room as well as toilets and wardrobes around a top-lighted lounge with a raised roof. A direct exit into a private garden and the outdoor classroom area includes the exterior space and enables short access routes. Parts of the outdoor areas are available to locals as a freely accessible play and leisure area. 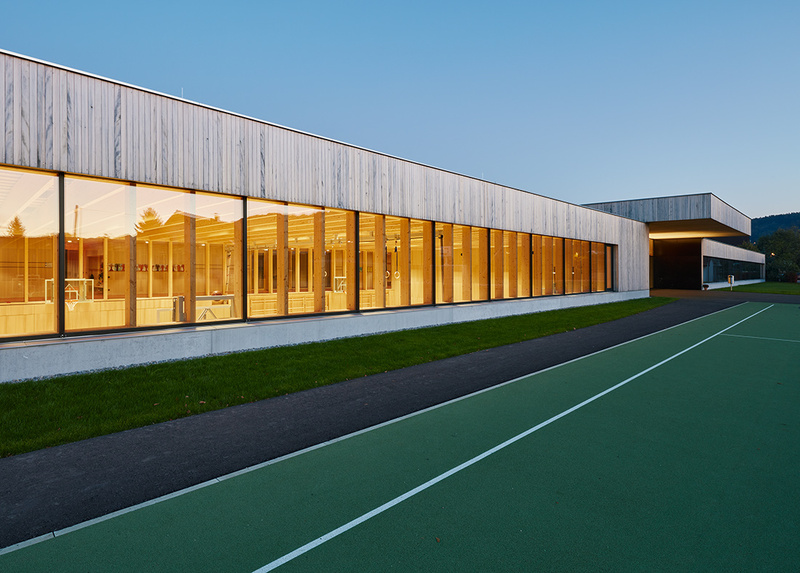 The entire school is of pure, unclad timber construction that is visible in every room. Students benefit from a pleasant, warm atmosphere in the building, which also saves on heating costs. The renewable, regional building material dramatically reduces the “gray” energy factor. With 940 points, the school in Unterdorf has been awarded one of the highest values for a new building in Vorarlberg’s “communal building records”. This pilot project sets a new standard for schools in Austria and, hopefully, will stimulate further timber construction in Austria.